The new Scott-Clark SOCI II Indicator puts users in touch with battery operations. We recognized a problem with charged batteries at the point of care that wasn’t being addressed by local action or remote monitoring software. SOCI II was designed to help users. Whatever the workflow of the mobile computing cart user, it will at some point be interrupted by a battery in need of charge. 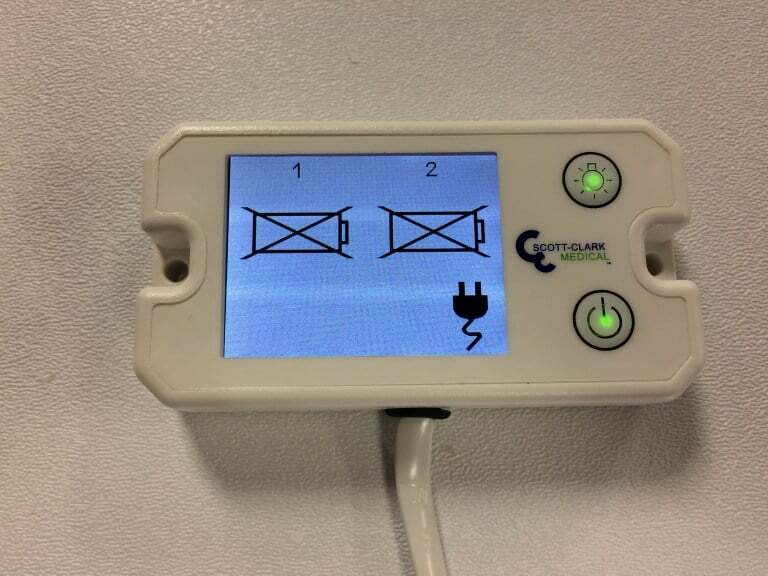 The State of the Art Charge Indicator includes software that makes the end users job simpler. It measures the amount of charge remaining in the battery and gives the user a visual reference as to how much run-time they can expect. Large, well-lit, graphics give the user a better visualization of the status of any battery in use. In today’s market many enterprises employ software that monitors all batteries remotely. The inherent problem in remote monitoring is that the person doing the monitoring isn’t on-site. With SOCI II a unique interaction between battery and user occurs with the ability to receive up to the minute status reports directly from the battery. Using simple codes and visual graphic interface, the SOCI II aids the user in allowing for a positive workflow through measuring and communicating power status. We are already working to increase the ability of the battery to communicate and help the user maintain an easy and positive interaction with their mobile computing cart. The SOCI II is just one more example of how Scott-Clark is improving the mobile cart industry. Our goal is to provide a 100% positive user experience with their mobile computing cart and users have provided an overwhelmingly positive response to this new innovation.